This is a temple where a variety of Theyyams come together to be staged on an annual basis adding to the magnificent pageant associated with this temple. 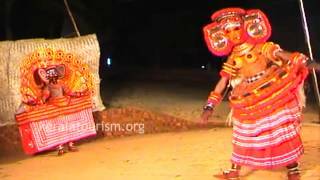 Of them, Kalarivattam and Othayathu are considered to be the two Theyyam masters. 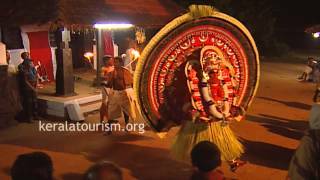 The Kalarivattam people welcome and worship the Othayathu Theyyam with reverence even today. The temple belongs to a joint family. The festival was restarted in 1951 and is now regarded as one of the best in the state. The dance of the Thamburatti is very popular. 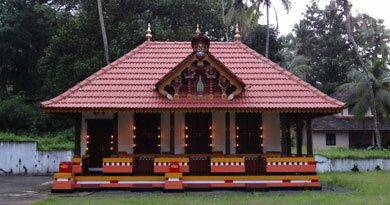 The temple is at the Chala stop in Kannur - Koothuparamba road. Nearest Railway Station: Kannur Railway Station, about 10 km away. Disclaimer: The festival dates listed are in accordance with the Malayalam calendar and adhere to local traditions and customs. However, just as the customs and rituals associated with each place of worship can vary, dates may change as well. The calendar should, therefore, be considered as an approximate calendar, and dates listed should be confirmed with local authorities. Every attempt has been made to provide current and up-to-date information on contacts listed but Kerala Tourism accepts no liability for any loss, damage or inconvenience caused as a result of reliance on the information provided.